If all you wear is jeans, you probably have an outfit formula already. But if it's a little stale, take these tips. I'm talking skinnies, I'm talking straight. They can be flares or they can have frayed ends. But when I say 'jeans' I mean the traditional blue jean colour - not black or indigo - blue. However, if you wear only indigo coloured jeans or jeans that are black, you can still take these tips. For the purpose of this article, though, 'twill be blue through and through. If you are someone who wears jeans all the time, I'm guessing you have loads of big chunky jumpers to go with them. You probably have a couple of go-to 'nice' tops for going out. In fairness, you probably have white tees and a leather jacket (if you're wondering what to wear to the pub on Friday, just wear that). But here are five other pieces of clothing that you'll be glad to have in your wardrobe when you need to assemble an outfit in a flash. 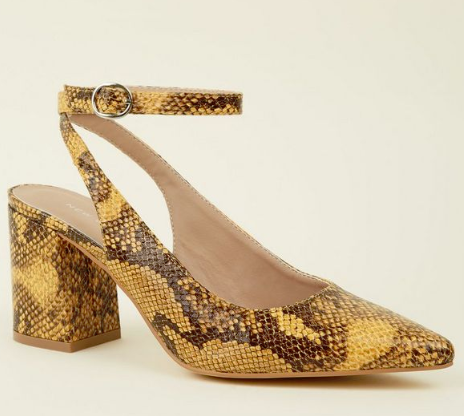 I love a Dior style kitten heel slingback with jeans; it's a look that is set to become a classic so don't think kitten heels are going out of fashion (again) just yet. For this season, a block heel will give the look a modern edge. I like the classic black (so Victoria Beckham) but for going out this summer - and every summer - you will look effortlessly chic with a top like this paired with your jeans. As you'll well know, belts are big right now. You won't need any other accessories if you wear a belt with your blue jeans. 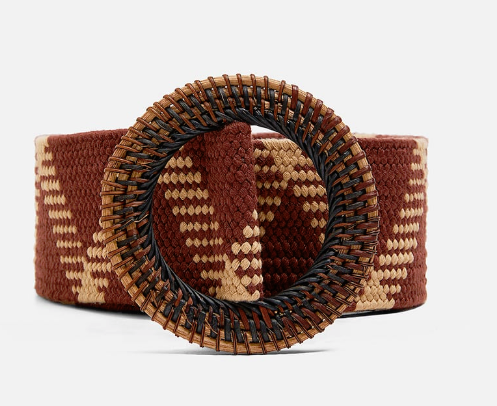 We have a collection of classic leather with statement buckles, but this interesting woven number is cool for summer. I recommend having a couple of shirts that you can french tuck when you're feeling fancy. You'll never go wrong with a white or cream, but any colour or print goes. Are you a blue jeans girl? How do you usually style yours? How is this jeans style back AGAIN?